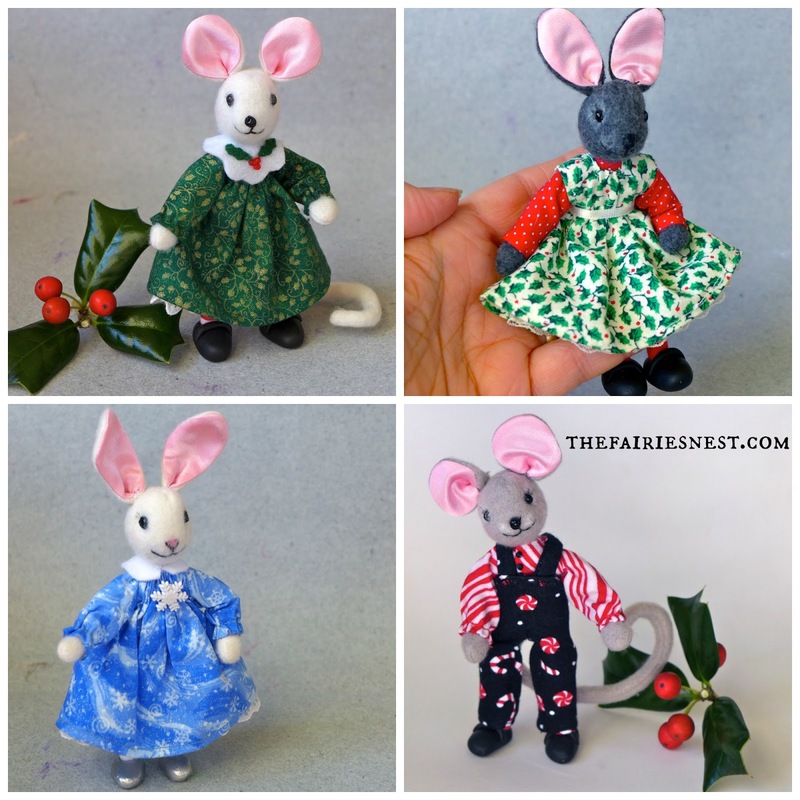 These little mice and bunnies will be loaded to the shop at 7pm EST Dec. 8. And then two little Holiday pixies will go in on the 9th. I'll post pictures of them tomorrow.